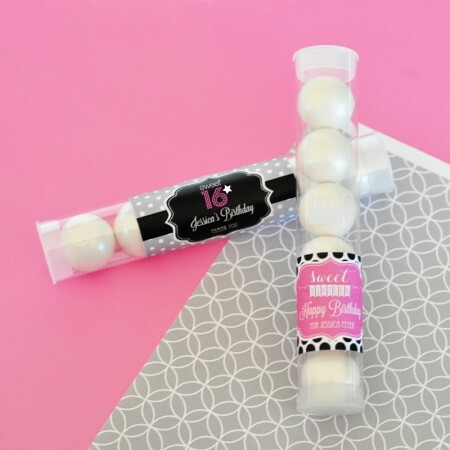 Ideas for favors: Sweet 16 (or 15) Personalized Candy Tubes. Today is all about you! 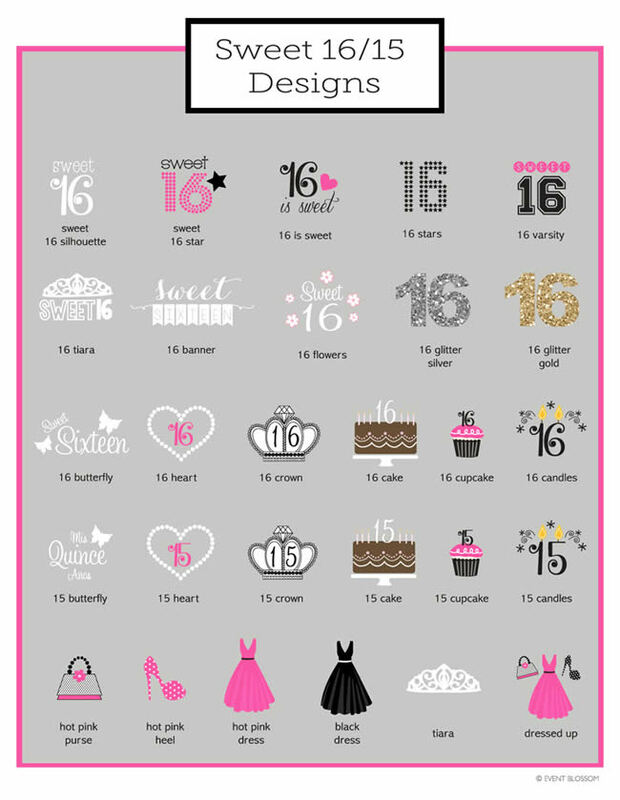 Your Sweet Sixteen or Quinceanera party favors should be too. Our Sweet Sixteen (or 15) personalized candy tubes make a bold statement without taking the spotlight away from the birthday girl. You can fill the candy tubes with your favorite candies that match your personality or small gifts that reflect your individuality. As a final touch, the personalized labels feature fabulous designs ranging from high heels to delicate blossoms to show off your spot-on fashion sense. With party favors like these, friends and family will remember your sweet soiree for years to come! Each clear plastic candy tube comes with one top on each end. 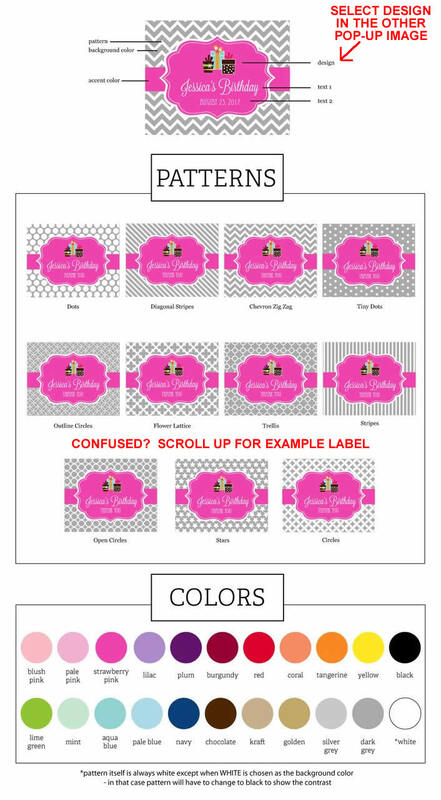 Personalized labels come in various colors and feature designs from the Sweet Sixteen (or 15) Collection. Labels can be personalized with your name(s) and date or special message.